The good news about being at our wits' end is that God meets us there. If He loves me so much, why do I hurt so much?Am I being punished? I thought I was forgiven.Why is faith so hard? What if I don't have enough?Why does God allow suffering? 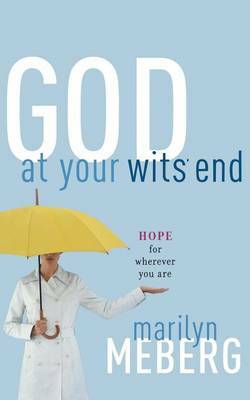 In God at Your Wits' End, Marilyn Meberg helps us cut through the mental clutter and confusion that lead to faulty thinking and shaky faith. She tenderly acknowledges our trials by revealing her own wits'-end experiences; then she points the way to rescue and respite by sharing the scriptural truths of God's enduring love and sovereign power.